There are more than 300 types of garlic. Purple garlic is just one of them, but it is otherwise very unique and a lot of people do not know about it. This is what people refer to as purple garlic, porcelain garlic, and rocambole garlic, they are closer wild garlic and posses complex flavors. It is sometimes considered to be a separate species, Allium ophioscorodon G.Don. The purple garlic has several even-sized cloves and covered by its thick and stiff neck with purple stripes. One of the characteristics of hardneck garlic is that they last as long as softnecks when stored. The color of the purple garlic is because it contains anthocyanidin in a large quantity. This is also known as white garlic. It's the very common type of garlic. It features a white paper-like skin. It is very easy to grow in home gardens. The white garlic has a medium-large head with an irregular form. It is covered by white skin and has 10-12 cloves. It is a garlic with a spicy flavor of medium intensity. These are the garlic that is usually found in most grocery stores. They are characterized by a mild flavor. A great characteristic of the softneck garlic (Allium sativum ssp. sativum) is that it hardly gets bad. Due to the fact that the necks are soft. The purple stripe garlic also is known or called Persian Star and Chesnok Red is characterized by having a large number of bulbs with a very mild purple coloration. This spices or type very difficult to peel. 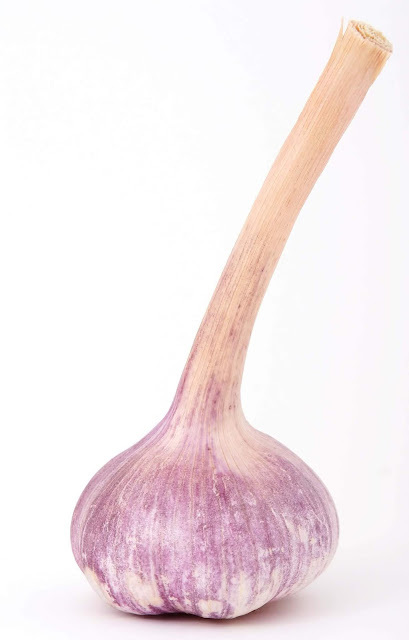 A single bulb of purple stripe garlic bears around 7 -13 cloves. A pound of this type of purple garlic can provide 65 cloves. The Purple stripe garlic in very cold climatic conditions. Probably one of the most common species of purple garlic, they are also called Purple glazer or Red Rezan. Its main characteristics are cloves that have high purple coloration and few numbers of cloves. The species of marbled purple stripe garlic also known as Brown Tempest or Krasnodar Red are characterized for there resistance to cold climates conditions. A pound of marbled purple stripe can produce around 45-50 cloves. The Italian Purple garlic, botanically known as Allium Sativum var. ophioscorodon, they produce medium-sized bulbs that are round, They are considered a spectacular class of garlic as they mature as one row of cloves around a hard-stalk. They are characterized by not being able to grow outside regions that are not cold and also they don't do well with storage which not common to many garlic. their cloves are ivory, spicy and mildly sweet, this increases with there maturity. Do You Want to Learn How To Peel Garlic The Easy Way Watch The Below Video!!! By now I expect you would want to know the difference between white and purple garlic otherwise know as Hardneck and Softneck Garlic if you have read this far I applaud you and also thank you for your time. Without wasting much time let's dive In. The two types of garlic have several differences. 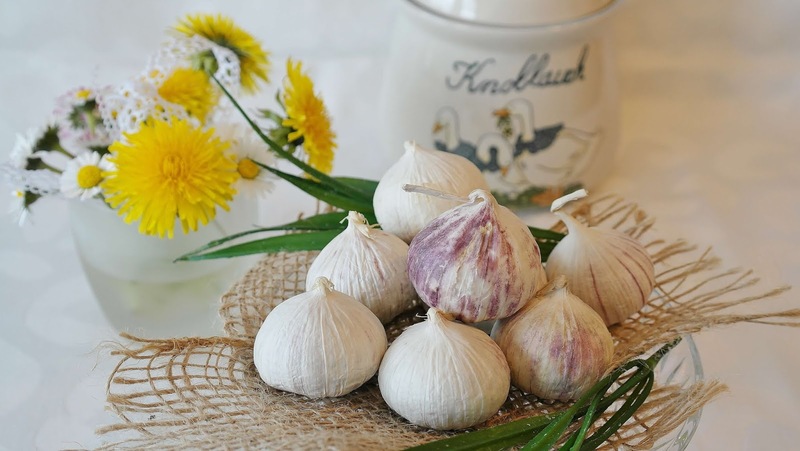 One of the most notable characteristics that differentiate the both of them is that the softneck white garlic has more cloves compared to hardneck purple garlic. The softneck otherwise known as the White garlic is easier to grow than the hardneck or purple garlic. Although purple garlic (hardneck garlic) is hard to find, it's not the same for the white garlic (softneck garlic) which is always available in any grocery store. It is very difficult to store Hardneck garlic because it is highly perishable as compared to softneck garlic which has a higher shelf life. The white garlic is majorly characterized by a powerful scent and flavor while the purple garlic tends to have a mild odor and taste. Moreover, the hardneck purple garlic is known to have its sweet aroma even after cooking with it. 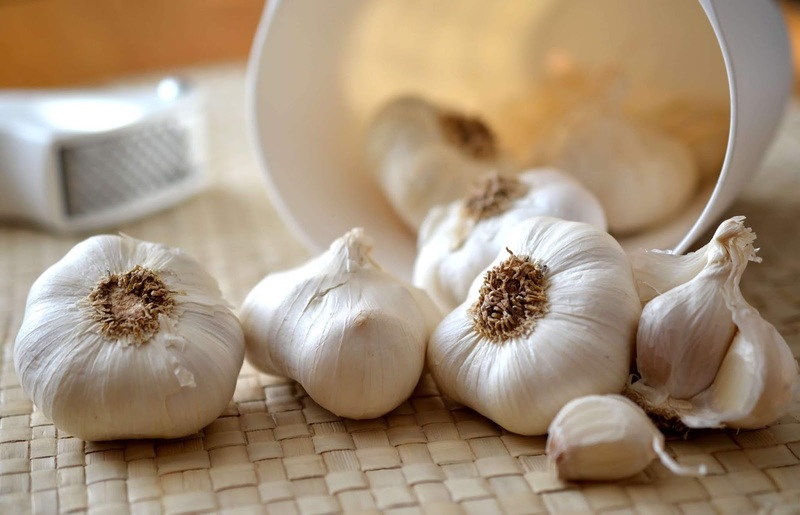 Garlic, in general, does contain antibiotics which aid to reduce cholesterol and blood pressure and prevents coronary heart diseases such as atherosclerosis. Nevertheless, the Chinese medical practitioners have been using purple garlic for its various health purposes. Purple Garlic is rich in substances that inhibits oxidation or inhibits reactions promoted by oxygen or peroxides also know as Antioxidant Resveratrol. 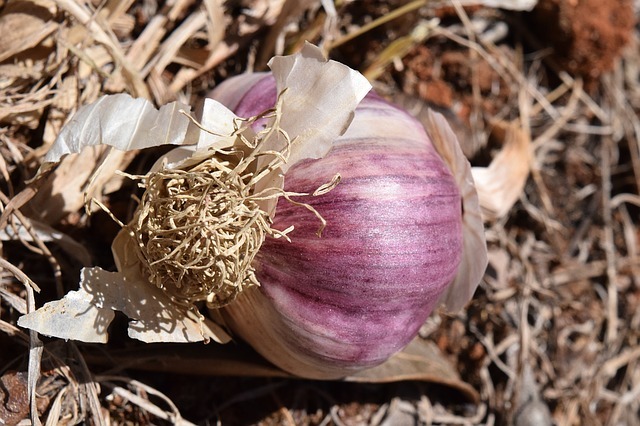 This substance gives a dark purple or reddish color to garlic. Purple Garlic also contains Allicin which is an organosulfur substance that possess antibiotic and pharmacological properties. Allicin is also responsible for the spicy flavor, smell, and taste of the Purple Garlic. Purple Garlic is rich in sulfur which fights bacteria that cause acne or seborrheic dermatitis. The purple ginger is also rich in Silica. which helps, to promote healthy hair, nails, and skin. This is because in collagen creation silica is a key ingredient and stands as a building block of the hair, nails, and skin. Also, silica helps the bones to improve their density as well as their strength. Purple Hardneck garlic reduces the risk of some types of cancer because it is rich in germanium and selenium. Germanium which helps to inhibit the synthesis of nitrosamine which is a carcinogenic agent, and Selenium which plays a very critical part in metabolism and thyroid function. It also protects the body from damage caused by oxidative stress. It aids insulin synthesis and helps to prevent or reduce type II diabetes. Purple Hardneck garlic contains antioxidants that prevent premature aging. Allicin helps to inhibit the growth and development of cancer cells. The regular intake of purple ginger helps to enhance the body's immune system to fight cancer and activate macrophage phagocytosis. The human body needs iodine but it cant be synthesized so it is required to be present in the food we eat good enough purple garlic is rich in iodine. The thyroid gland requires iodine in other to make or produce hormones if the thyroid doesn't have enough iodine to for the production of the required hormones, this causes the thyroid gland to work harder, leading to the enlargement of the thyroid gland which is otherwise known as goiter. The Allicin has an inflammatory effect, which plays a critical role in the prevention of rheumatoid arthritis and Cryptosporidium infection in the respiratory and gastrointestinal tracts. To wrap it up Garlic, in general, has so many health benefits take your time to watch the above video. Thanks for your time and don't forget to leave a comment below. subscribe to our newsletter to keep receiving the more wonderful articles like this!! !